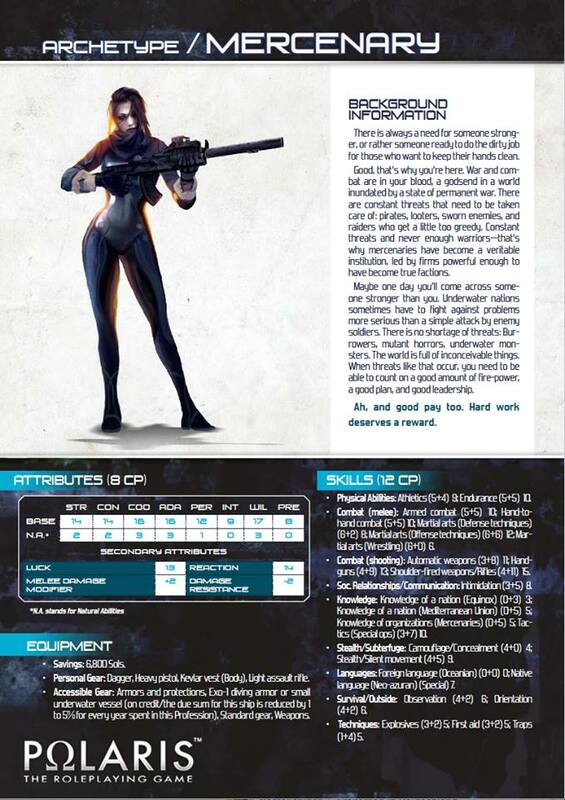 Polaris RPG. Laura Hoffmann, Line Developer and Project Manager at Black Book Editions, answered a few questions about their spacy underwater Sci-Fi roleplaying game and the current Kickstarter project. Before we start, let the exciting Polaris RPG trailer prepare the ground. 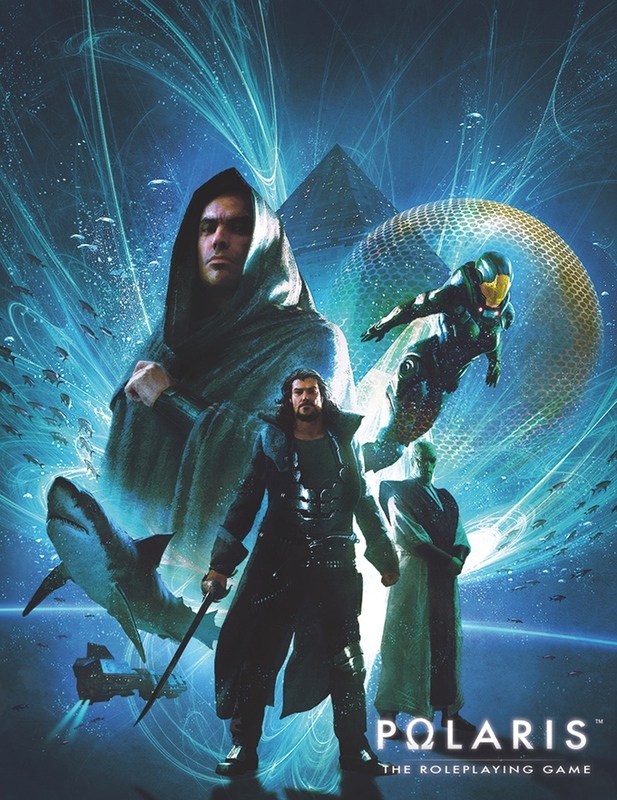 Honestly, after reading the announcement for the Polaris RPG Kickstarter, I thought this sounds like an underwater Dune meets Star Wars meets The Abyss. I think you have a better elevator pitch and please share your major inspirations. Polaris RPG is somewhat an underwater Mad Max with a fair share of Red October and Aliens-feel to it, and certainly some Dune and Star Wars. The list of inspirations is HUGE for this game. You get the ravaged surface that forced humankind to flee and now they found shelter in another very hostile environment: the seas. Please tell us more about the history of the game. Polaris RPG was first created back in 1996 by French author Philippe Tessier and published through Halloween Concept. It was an instant success so that just two years later the second edition could be published. A real fan base gathered around Polaris quickly and when the publisher had to close down some years later, fans kept the game alive on various websites and forums. Black Book Editions contacted Philippe Tessier in 2007 to relaunch a new edition of Polaris, adding Raphael Bombayl to the development team to create a more fluid game system. Again, this new edition was a frank success, especially after a pre-order campaign that unlocked a whole bunch of new sourcebooks. During this campaign, Black Book Editions also announced the English language translation for Polaris. And here we are now, ready to sail off to new horizons! What are in your opinion the most important features of the Polaris RPG – settingwise and ruleswise? The setting and world behind the Polaris RPG is certainly the biggest reason for its success over these past 20 years. Only few games explore the depths of the oceans, this very hostile environment that comes with its big share of dangers. It’s a deadly game, filled with constant threats from limited oxygen, horrifying sea monsters, perpetual wars, the decrease of fertility and many mysteries. Character creation lets you craft your character step by step, which gives every player the opportunity to develop them as he wishes. Raphael Bombayl, author of the game system, also created straightforward rules for naval combat. 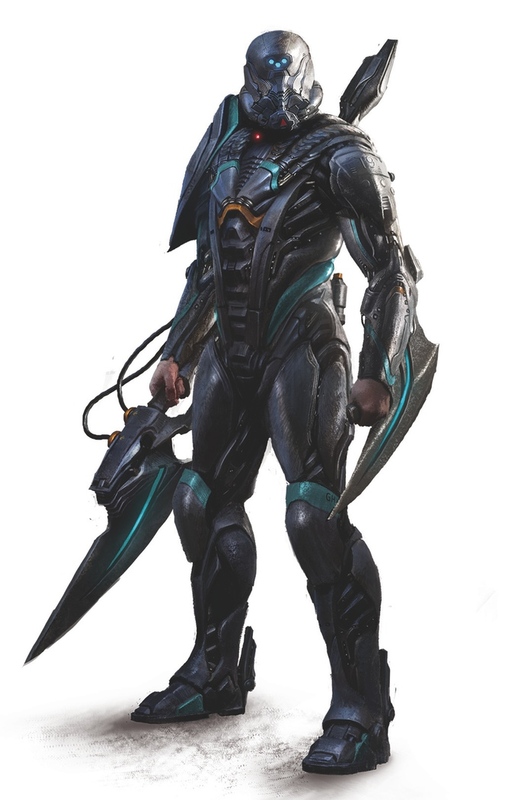 Which character classes, races and special powers/feats can backers expect? Characters are created by choosing a race (either human or „hybrid,“ who can be either natural, or the result of genetic experiments, or technologically enhanced) and going through a step-by-step „aging“ based on their environment of origin, education and a career. Professions are very varied and range from simple submariners to military officers or special agents. Character creation does also give you the possibility to add various mutations, advantages and disadvantages to your character, and even give him or her the ability to manipulate the Polaris Effect, some sort of psychic power. This mysterious force comes from what is called „the Flux“ and grants your character special powers that, if correctly controlled, lets you manipulate minds, the currents, energy and much more. But if it’s involuntary unleashed, the effects can be devastating. This is the reason why many people who have access to this power wear a special metallic headband which keeps the power in control. Character creation is handled via a point-buy system, which ensures character balance within a group. What are typical stories that the players will tell with the Polaris RPG and which threats they have to oppose? Polaris RPG lets you play in many different ways. 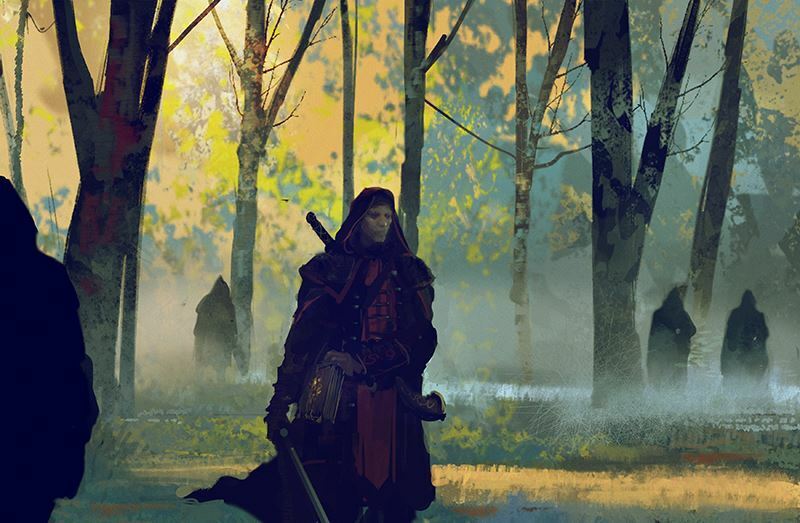 Your players could be mercenaries hired by the great nations to fulfill the work no one else is willing to do; they could be freelancers or pirates trying to survive on their own, scientific explorers seeking to unveil the mysteries of the Deep, etc. Adventures can be also driven around political intrigues between big nations and corporations. I’ve heard that you collaborate with Paizo Inc. Please tell us more. We are very happy about our collaboration with our friends at Paizo Inc.! They will be our sales agents for distribution and we are looking forward to this partnership. Why do you think fans should jump aboard and support the Polaris RPG Kickstarter right now? We believe that the Polaris RPG is a great game to discover, and we are happy to finally be able to publish it in English, so more people can have access to it. The theme of post-apocalyptic underwater Sci-Fi has not been approached very often in the American RPG market, so players now have the opportunity to explore something new, which is more and more difficult after more than 40 years of creativity in this industry. This Kickstarter gives us the opportunity to upgrade our product as best as possible, and give it the best possible start. There will be some free and exclusive stuff available throughout the Kickstarter (For example, if we reach the 40k Stretch Goal, a FREE sourcebook will be unlocked! ), so don’t miss out on those! But for those of you who prefer to buy in their hobby stores, we are also happy to announce that the products will be available this summer in brick and mortar shops! What kind of further development can we expect for the Polaris RPG after the Kickstarter? The Polaris RPG line is already quite large in France. We hope to bring many supplements also in their English version in the near future. 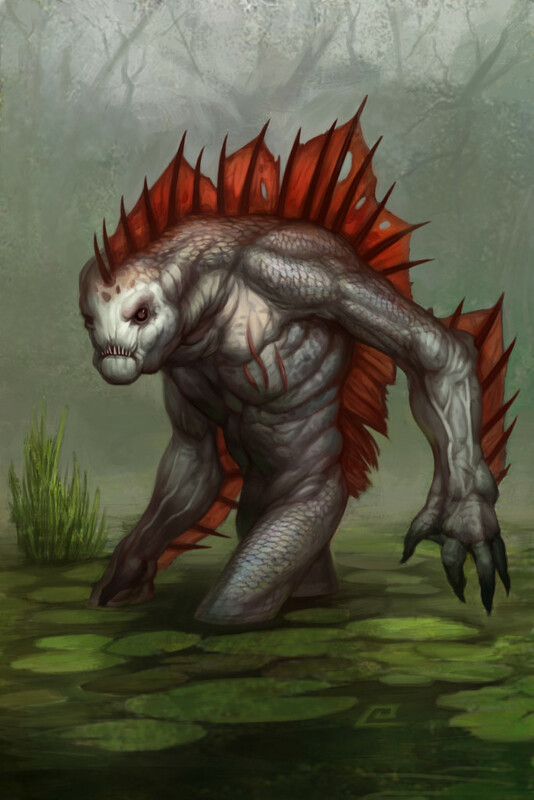 The first upcoming sourcebook is already in translation: „Creatures” is a 200+ page bestiary with many more monsters of the Deep! More setting sourcebooks and adventures will follow up. Finally, a fun question: Please share something about the Polaris RPG which was a secret so far. Until 5th April you can support the Kickstarter for the Polaris RPG. If you want some play material, you can download a free Polaris RPG – Quickstart Guide + Adventure from DrivethruRPG. 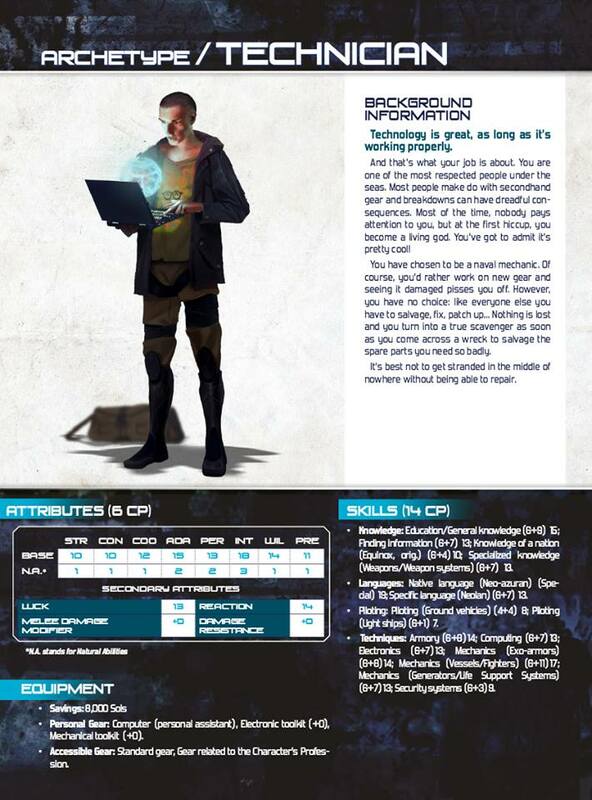 For further information please visit polaris-rpg.com or follow PolarisTheRPG (FB) and @Polaris_RPG (Twitter). Disclaimer: I’m a backer of the Kickstarter, although I usually avoid complex game systems like the Polaris RPG. Update 2. April 2016: I changed my mind and canceled my pledge for the Kickstarter. 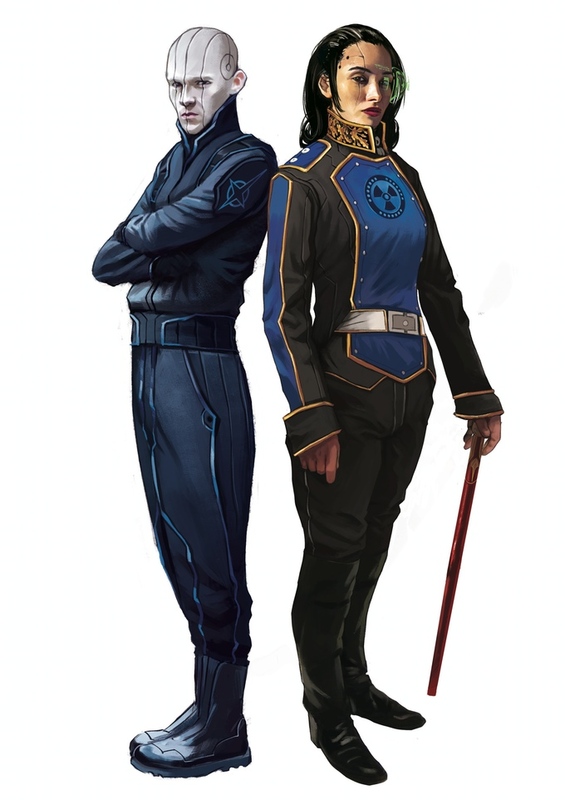 In my opinion, the Polaris RPG has too complex rules and the similarities to the Force of a galaxy not so far away are not my cup of tea. The Beta of Rulebook 1 has 269 pages and offers a lot of crunchy bits, but the unique setting sparks my interest. Good luck anyway. Furthermore there is no business or personal relationship to Black Book Editions or Laura Hoffmann. Syfy. Nach der ersten Staffel The Expanse will der amerikanische Sender mit spannender Science Fiction-Kost nachlegen. Die neue Serie von Gale Anne Hurd (The Walking Dead, The Terminator trilogy) und Natalie Chaidez (12 Monkeys, Heroes) basiert auf dem Roman Alien Hunter von Whitley Strieber (Wolfsbrut/Verfilmung: Wolfen). Die Frau eines FBI-Agenten verschwindet. Seine Untersuchungen führen ihn zur geheimen ETU, Exo-Terrorism Unit, die außerirdische Terroristen jagt und bekämpft. Am 11. April wird Hunters in den USA an den Start gehen. The Expanse blieb ein wenig hinter meinen Erwartungen zurück, aber die Trailer und Ankündigungen für Hunters wirken auf mich vielversprechend. Ich bin mir noch nicht sicher, was ich von ihrem Slogan A New Breed of Terrorist halten soll. Es kommt ganz darauf an, wie die Umsetzung aussehen wird – aktuelle Diskurse reaktionär unterstreichend oder kritisch hinterfragend. In jedem Fall finde ich die Teaser und Trailer gut gemacht und irgendwie ziemlich creepy. Das griffige Pitch der Serie eignet sich bestimmt auch für eine Rollenspielrunde. Aus den Vampirjägern der GUMSHOE-Perle Night’s Black Agents von Ken Hite können mit ein paar Handgriffen hervorragende Alienhäscher werden, denke ich. Den Spieß herumdrehen und die Spieler in die Rolle terroristischer Aliens zu versetzen, könnte ebenfalls reizvoll sein. 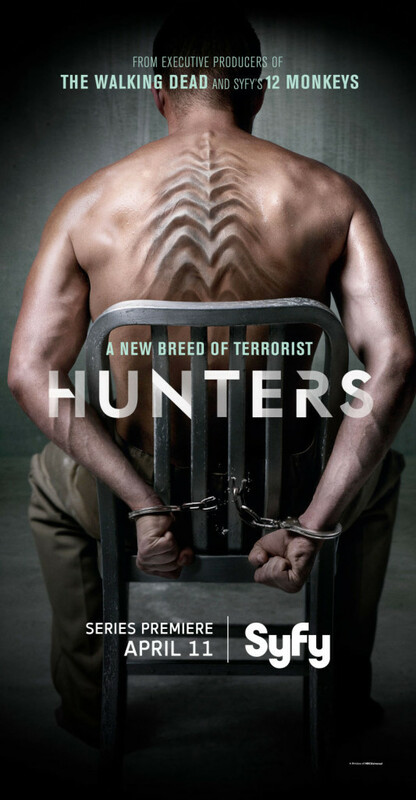 Syfys Hunters kommt zunächst einmal auf meine Watchlist. Järnringen. 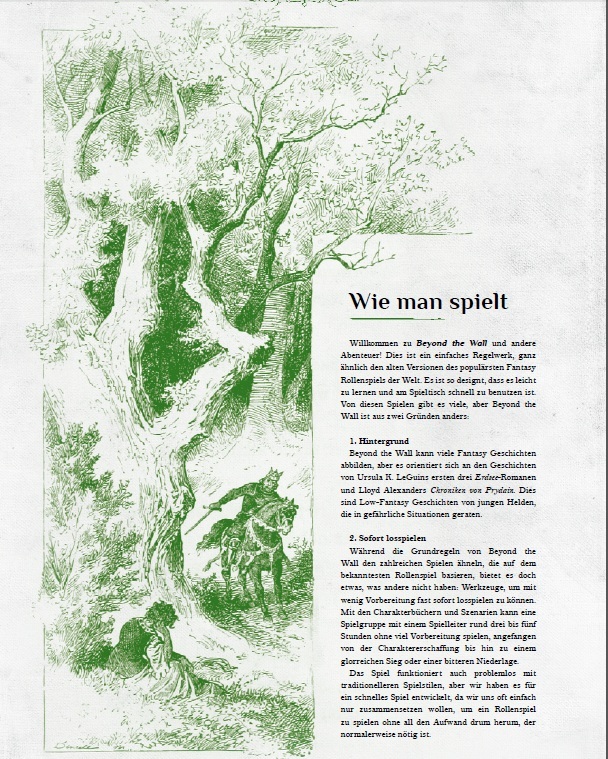 Es ist gerade gerade etwas ruhiger um das Rollenspiel Symbaroum aus Schweden geworden. 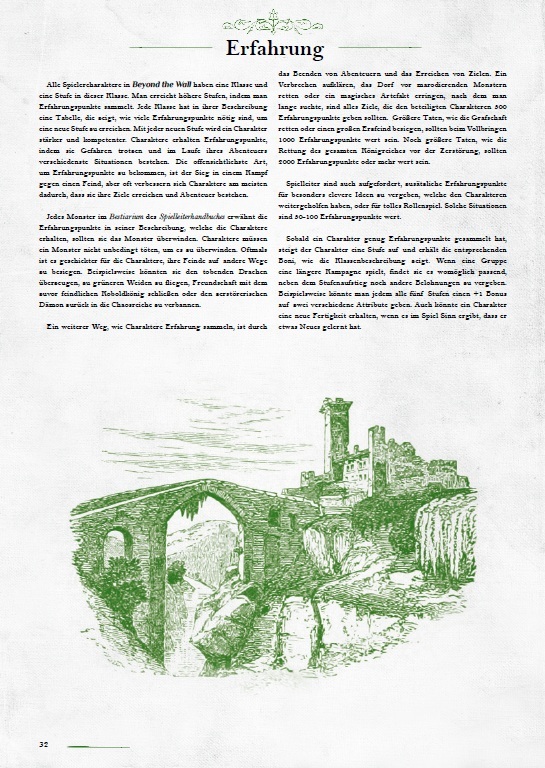 Prometheus Games, der nicht ganz unumstrittene deutsche Lizenznehmer des Symbaroum RPGs, plant ungefähr für Juni ein Crowdfunding, das die Übersetzung des Grundregelwerks, Spielleiterschirms, eines ersten Quellenbands und weiterem Zusatzmaterials finanzieren soll. Das dürfte spannend werden, vielerorts wird über den Herausgeber geklagt. Hier nicht, gleichwohl wäre es schade, wenn das Rollenspiel unter dessen Ruf leiden würde. Über ihren englischen Partner Modiphius gibt es zwischenzeitlich eine A2-Karte „der Welt“. Auf der Rückseite befindet sich eine Stadtkarte von Thistle Hold. 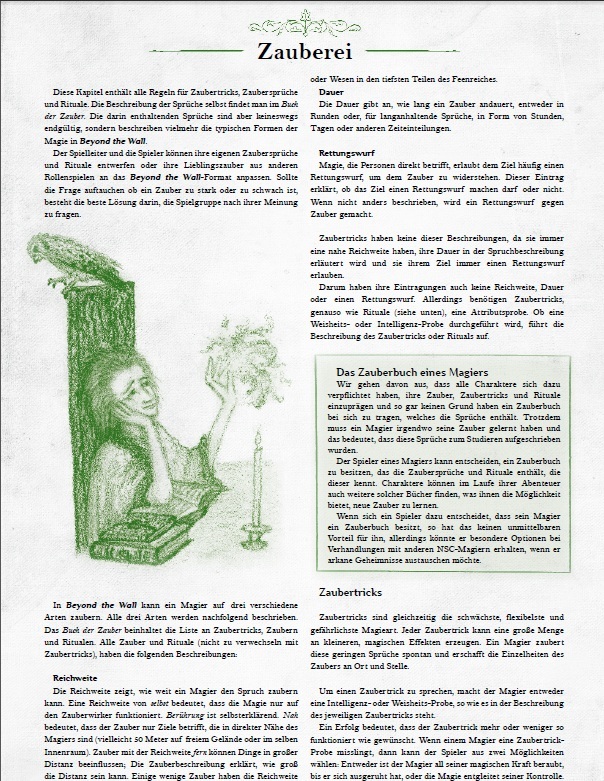 Von Mitzwitscheren wurde ich gefragt, wann das Player’s Handbook auf Englisch erscheinen soll. Wie gesagt, unter Vorbehalt, aber die Aussagen stammen direkt vom Herausgeber. The Iron Pact, ein schickes englischsprachiges Fanblog, beweist eifrig auf seiner Webseite und auf Twitter, dass bereits jetzt einiges geht. Neben Abenteuerideen gibt es dort unter anderem schicke Power Reference Cards. Hier im Ländle plane ich demnächst eine neue Runde. Dafür werde ich, falls es soweit kommt, in den Fundus greifen und ein altes Abenteuer hacken. 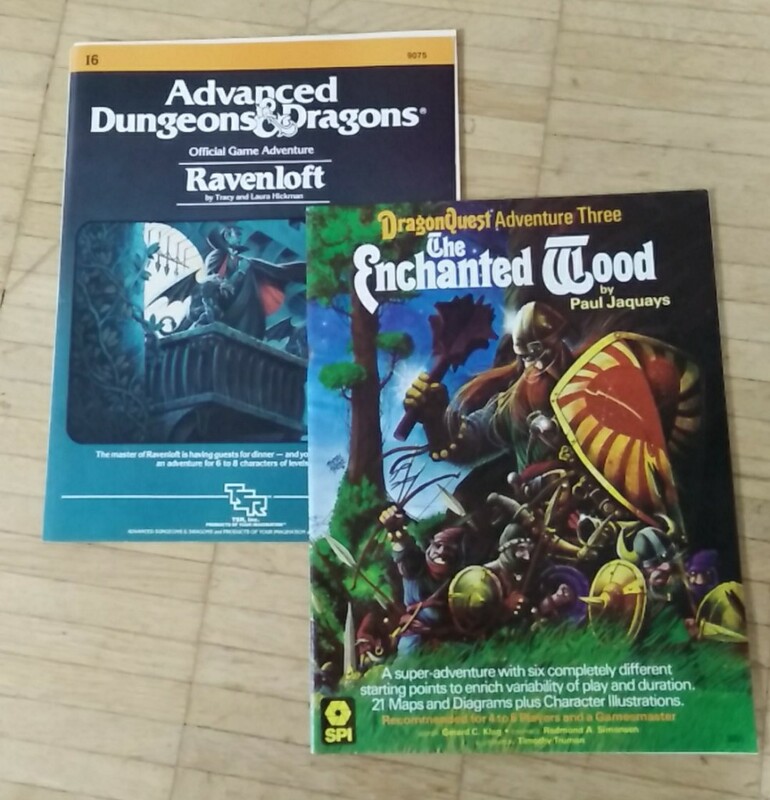 Anfangen werde ich wohl mit The Enchanted Wood (SPI, 1981) für das DragonQuest RPG. Dem habe ich nicht viel hinzuzufügen, außer einem Beispiel. The Merchant (S. 6) benötigt einige Leibwachen, die ihn und seine Waren – in den Davokar – begleiten. Eigentlich ist der Händler viel mehr daran interessiert, was er von dort mitbringen wird. Ohne großen Aufwand lässt sich daraus ein passendes Abenteuer stricken. Das 48-seitige Modul enthält noch weitere geeignete Anregungen (The Alchemist, S. 5, etc.). Es gibt sicherlich noch weitere geeignete Ideenlieferanten (D&D Rahasia? ), mit denen die Zeit überbrückt werden kann, bis Symbaroum fortgesetzt wird. Meinereiner freut sich jedenfalls darauf. Den von mir angekündigten Symbaroum-Wettbewerb stelle ich bis auf Weiteres zurück. Cthulhu Organized Play Program: A Time to Harvest auf Deutsch? Pegasus Spiele. Es sieht ganz danach aus, dass Pegasus Spiele aus Friedberg auch etwas in Richtung Organized Play für ihr Cthulhu-Rollenspiel machen wird. 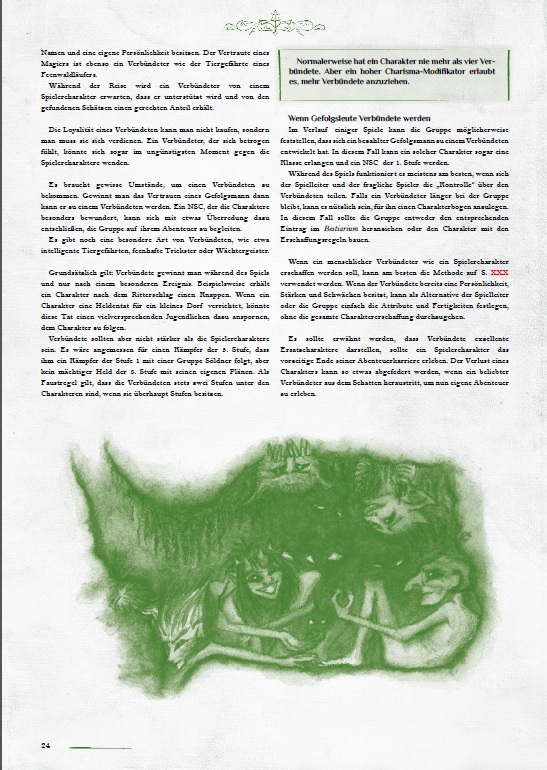 Aus gesicherter Verlagsquelle war zu erfahren, dass sie bereits die Kampagne A Time to Harvest von Chaosium an Land ziehen konnten. 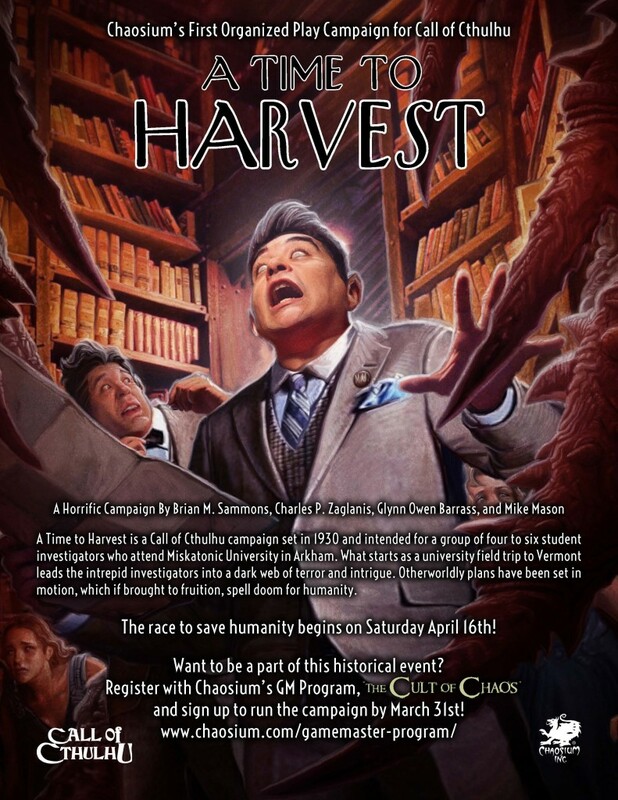 „A Time to Harvest is a campaign unfolding over six months, which will be offered free to all members of The Cult of Chaos, Chaosium’s Game Master and Organized Play Program. “It’s a tightly focused campaign, set in Lovecraft Country, which is inspired by and builds on H. P. Lovecraft’s tales“, said Mike Mason, line editor for Call of Cthulhu. „Things are not always what they seem and the players will have to navigate the various twists and turns. It’s also pretty fast paced, with plenty of action putting the investigators into dangerous situations. Whether around the learned halls of Miskatonic University, the streets of Arkham, or the wilds of Vermont, the players will have plenty of opportunities to explore, investigate, and face threats not of this world!”, said Mason. Interested Keepers need to first join The Cult of Chaos. Membership is free. Initial campaign materials will be sent out in March. Weitere Details, wer die Übersetzung übernimmt, wann und in welcher Form die Abenteuerserie erscheinen soll ist noch offen. Vor dem Gratisrollenspieltag ist nicht mit weiteren Informationen zu rechnen. Unsereins begrüßt die Idee für den deutschen Rollenspielmarkt. 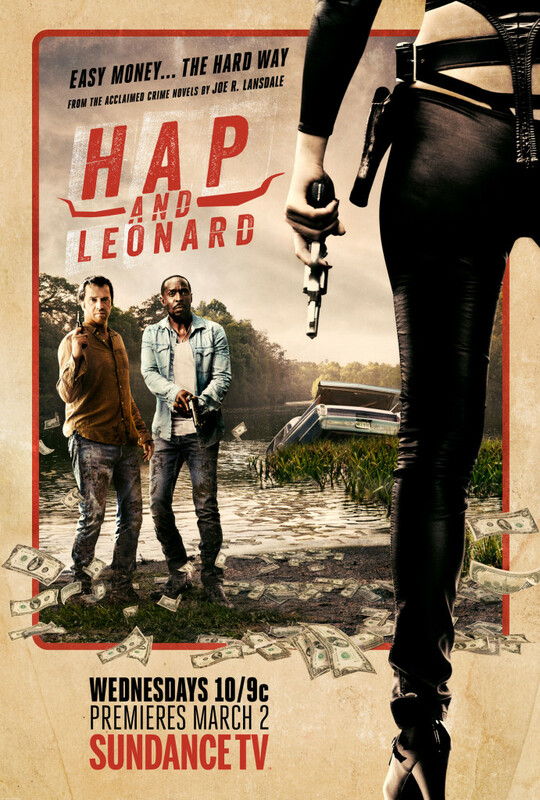 Hap and Leonard TV: There’s no beauty in perfection, honey. SundanceTV. Die amerikanische Tochter von AMC (The Walking Dead) adaptierte die Figuren Hap and Leonard aus einigen Geschichten von Joe R. Lansdale in einer sechsteiligen Fernsehserie mit James Purefoy (Rome), Michael K. Williams (The Wire!) und Christina Hendricks (Mad Men). Hap Collins (James Purefoy), weißer Arbeiter und Vietnam-Kriegsdienstverweigerer, der dafür ins Gefängnis ging, und sein Freund Leonard (Michael K. Williams), ein ebenso homosexueller wie auch farbiger Kriegsveteran, bekommen von Here comes trouble-Trudy (Christina Hendricks), Haps Exfrau, einen sehr heißen Tipp. In einem Fluss soll noch das viele Geld eines gescheiterten Bankraubs liegen. Klingt nach einem sich anbahnenden Fiasco – die Sache hat selbstverständlich mehr als einen Haken und hungrige Reptilien gehören noch zu ihren kleineren Herausforderungen. Drei Folgen der Serie wurden bislang ausgestrahlt. Ein abschließendes Urteil ist damit noch nicht möglich, aber alles, was ich bislang sehen konnte, gefiel mir ausgesprochen gut. Selten wurden Verlierer mit all ihren mehr oder weniger liebenswerten Eigenheiten so warmherzig in einer unterhaltsamen Gaunerserie karikiert. Die Vorlagen von Joe R. Lansdale kenne ich bedauerlicherweise nicht, dafür aber seinen großartigen Weird West-Antihelden Reverend Jebediah Mercer (Dead in the West!, etc.) sowie die schicken Jonah Hex-Comicminiserien, die er gemeinsam mit dem Zeichner Tim Truman für DC Comics (Vertigo?) verantwortete. Aus diesem Grund behalte ich die Arbeiten von Joe R. Lansdale ein wenig im Auge und stolperte letzthin über die kleine Perle Hap and Leonard. Mir gefällts – großes Kino für die kleine Flimmerkiste. System Matters. Seit einigen Wochen kann die deutsche Übersetzung von Beyond the Wall, das erste Produkt der Blognachbarn, vorbestellt werden. Während an diesem Artikel gearbeitet wird, sind 85% der notwendigen 200 Vorbestellungen eingegangen. Die Aktion läuft noch bis zum 18. März 2016. Ich mache keinen Hehl aus meiner Skepsis gegenüber der Old School Renaissance (OSR) und Beyond the Wall wird dieser in meinen Augen rückwärts gerichteten Bewegung zugerechnet. Gleichzeitig freue ich mich aber auch über einen neuen deutschen Verlag, der etwas wagt, womit ich nicht gerechnet hätte. Schlussendlich überwog bei mir letztere Einschätzung, was zu der Bestellung 112 führte. 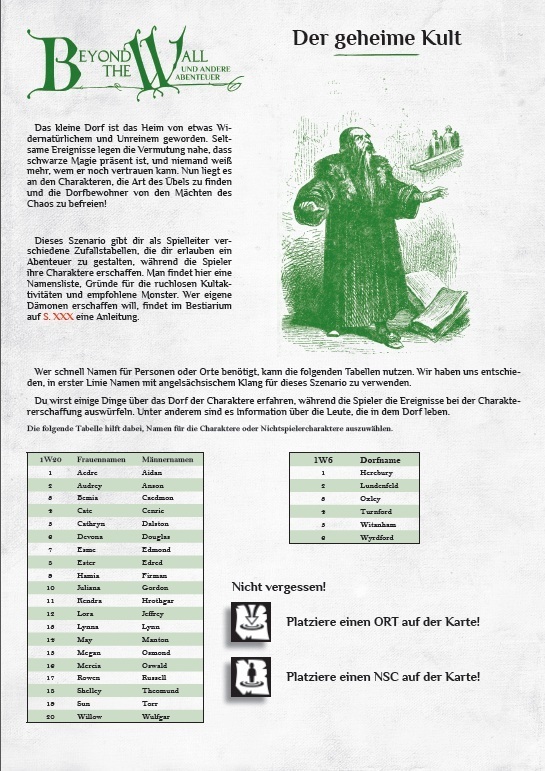 Das englische Original von Flatland Games würde ich als überraschend charmante Hausregelsammlung des alten Dungeons & Dragons in der bekannten roten Box – grob – umschreiben. Aber bevor ich noch weiter aushole, lasse ich lieber Daniel Neugebauer, einen der Macher, selbst zu Wort kommen. 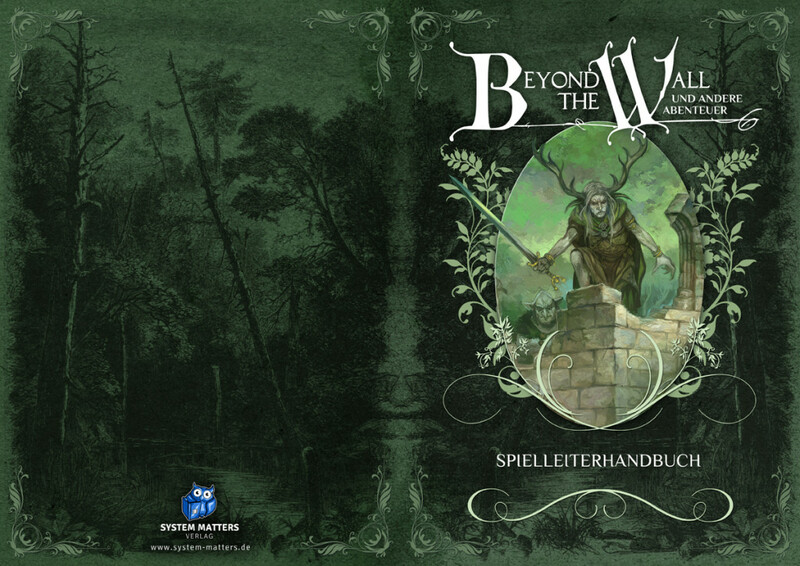 Wer steckt hinter der kommenden Rollenspielübersetzung von Beyond the Wall? Ich arbeite schon seit Jahren immer mit denselben Leuten zusammen, die sich fast alle aus dem Cthulhu-Umfeld rekrutieren. Mit Stefan Droste und Andreas Melhorn habe ich beispielsweise mehrere Abenteuer geschrieben. Stefan hat auch für Beyond the Wall ein neues Abenteuer geschrieben, dass einen nordischen Einschlag hat und den Spielercharakteren einen Troll als Gegner entgegenwirft. Darüber hinaus hat er mir bei kniffligen Übersetzungen geholfen und hat immer ein offenes Ohr für nervige Fragen über Facebook oder Skype. Andreas hat Ergänzungen zum Thema Spielleiten und Old School RPG verfasst, die auch einem Neuling helfen, etwas mehr über diese Spielart zu verstehen. Das ist insofern großartig, da auch Andreas mir vor langer Zeit erklärte, warum OSR so toll ist. Hätte er mehr Zeit gehabt, hätte er auch ein Abenteuer beigesteuert. Ich hoffe, er schafft es im Laufe des Jahres! Fürs Optische sind Marc Meiburg und Patrick Wittstock (www.azraeldesign.de) verantwortlich. Marc hat ein neues Layout entworfen und Teile des Zauberbuchs illustriert. Von ihm kam die Idee alle Bilder in Grün zu drucken und das macht das Spiel nochmal hübscher. Er sorgt auch dafür, dass alles gut auf dem Papier aussieht, wir nicht zu schweres Papier nehmen (Versandkosten!) und auch rundherum alles stimmig wird, was mit Druck zu tun hat. Patrick hat dagegen die Mappe und alle Cover designt und er hat uns bei der Webseite geholfen, was man gar nicht hoch genug loben kann. Die Übersetzung stammt von Adrian (ein Kumpel von Patrick) und von mir. Ihm hat das Spiel so gefallen, dass er alle Zauber übersetzt hat und mir damit eine gewaltige Hilfe war. Er wird auch in anderen Projekten helfen und ich freue mich schon darauf! 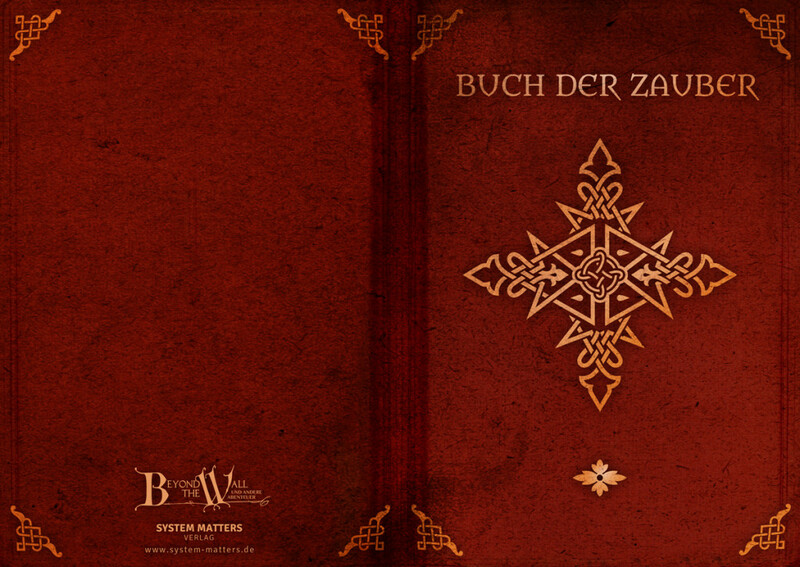 Was zeichnet Beyond the Wall eurer Meinung nach besonders nach aus? Beyond the Wall hält sich nicht lange mit einem Kampagnenhintergrund, komplizierten Regeln oder langer Charaktererschaffung auf. Alles ist konzentriert auf das Hauptthema: Du lebst in deinem kleinen Dorf und jenseits der Mauer erstreckt sich der Wald mit seinen Monstern, Feen und Gefahren. Du wählst einen Charakter aus und gehst dann seinen „Lifepath“ durch. Du bist, mit deinen Mitspielern, der Abenteurer des Dorfes und löst Probleme mit Goblins, finsteren Kulten oder wahnsinnigen Feenadligen. Damit startet die erste Beyond the Wall-Runde. Das Dorf wird während der Charaktererschaffung gebaut und genauso werden die Charaktere untereinander verknüpft und ihre Attributswerte und Fertigkeiten bestimmt. Wer also mit den D20-Spielen vertraut ist, kann zügig einsteigen. Die deutsche Ausgabe erscheint nicht als gebundenes Buch, sondern als Mappe. Darin sind das Regelwerk, das Spielleiterhandbuch (mit ergänzenden Texten zum Spielleiten) und Das Buch der Zauber. Dazu gibt es dann noch vier Abenteuer (zwei neue Abenteuer: eins von Stefan und eins von mir), die Charakterbücher, eine Dorfkarte und Charakterbögen. Wir dachten uns: Wenn das Spiel schon zum schnellen Losspielen einlädt, dann sollte es auch in einem Format erscheinen, dass dem Rechnung trägt. Und da mir die Cthulhus Ruf-Mappen ziemlich gut gefallen, haben wir uns für diesen Weg entschlossen. So kann man wirklich auspacken und sofort loslegen. 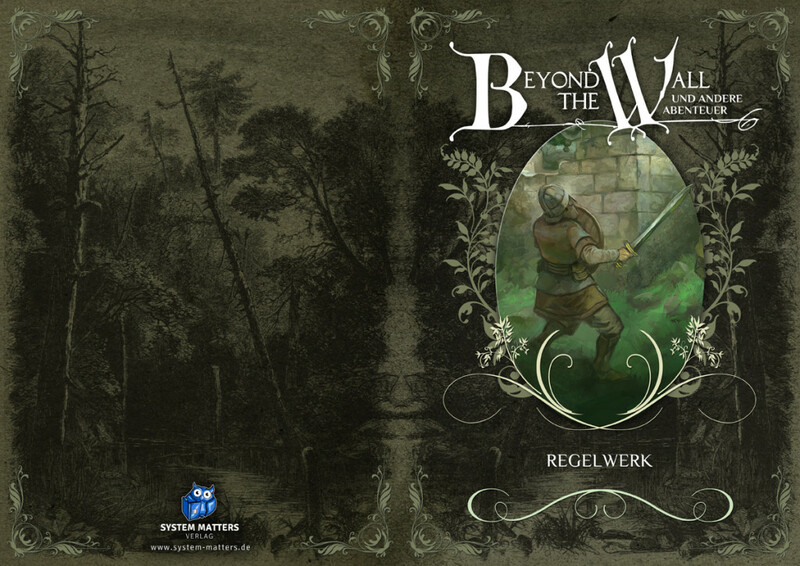 Beyond the Wall wird dem Old School Revival (OSR) zugeordnet. Welche Rollen können Spieler/Innen übernehmen? Gibt es irgendwelche Eigenarten? Das habe ich bei OSR-Spielen noch nicht gesehen und kenne ich, in etwas anderer Form z.B. aus Dungeon World. Das gefällt mir, da man zügig Spielwerte und einen Hintergrund für den Charakter gestaltet. Gleichzeitig wird auch das Dorf erschaffen. Das heißt also, wenn meine Eltern die Händler des Dorfes waren, dann haben sie irgendwo im Dorf einen Kaufladen. Den zeichne ich dann auf die Dorfkarte ein. Als nächstes stellt sich heraus, dass du Freundschaft mit einer alten Witwe geschlossen hast. Ihr Haus zeichnet man dann ebenfalls ein. Und nach einer Charaktererschaffungsrunde hat man das kleine Dorf schon etwas bevölkert, aber es ist immer noch genug Platz um eigene Idee einzubauen. Außerdem starten die Charaktere etwas weniger zufällig als bei „3W6 in Reihenfolge“. Aber auch das ist möglich und im Regelwerk ist auch eine ganz klassische Charakterschaffung beschrieben. Das Rollenspiel bietet gewissermaßen einen Setting-Baukasten. Wie sehen typische Abenteuer und Herausforderungen aus? 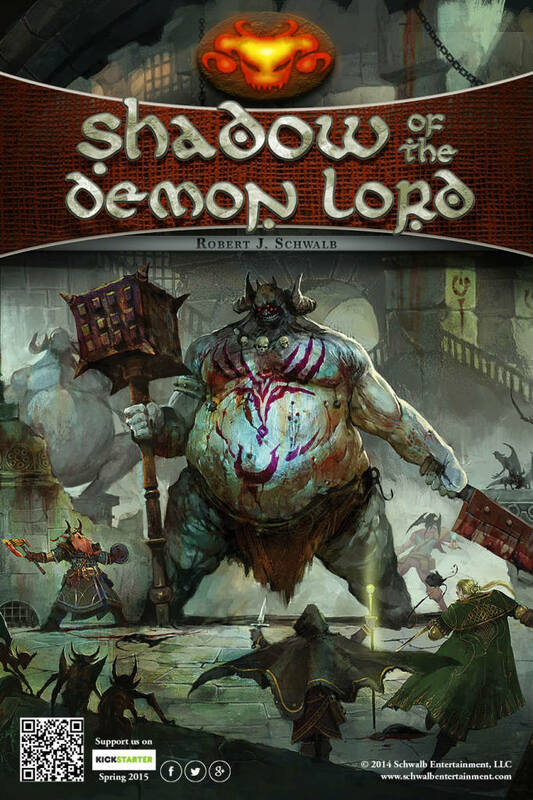 Jetzt kommen wir zu einem Punkt, der mich als Spielleiter und Autor in letzter Zeit umgetrieben hat, und den Robert J. Schwalb (Shadow of the Demon Lord) beispielsweise auch ungeheuer nervig findet: Warum muss ich für 4 Stunden Spielspaß 30 Seiten Abenteuer durcharbeiten?! Geht das nicht anders und vor allem besser! Beyond the Wall geht einen anderen Weg und gibt dem Spielleiter ein Szenario mit einer Länge von 8 Seiten. Auch hier kommen die Zufallstabellen zum Einsatz und das Szenario wird komplett zufällig generiert oder man sucht sich einfach die Ideen aus, die einem am besten gefallen. Wer ein alter Hase im Spielleiten ist, kann noch während der Charaktererschaffung das Abenteuer auswürfeln, sich ein paar Notizen machen und den Spielabend präsentieren. Vom Thema her orientiert sich alles an Low Fantasy Geschichten. Die verärgerten Feen richten Chaos im Dorf an und säen Zwietracht. Man forscht nach und gelangt zum Feenhof, der einige seltsame Benimmregeln hat. Die Atmosphäre ist eher seltsam als bedrohlich. Das kleine Dorf ist das Heim von etwas Widernatürlichem und Unreinem geworden. Seltsame Ereignisse legen die Vermutung nahe, dass schwarze Magie präsent ist und niemand weiß mehr, wem er noch vertrauen kann. Nun liegt es an den Charakteren, die Art des Übels zu finden und die Dorfbewohner von den Mächten des Chaos zu befreien! Das klingt schon mehr nach einem düsteren Szenario, das vielleicht noch nicht so hart ist wie Warhammer oder Dragon Age, aber doch deutlich anders, als Die verärgerten Feen. 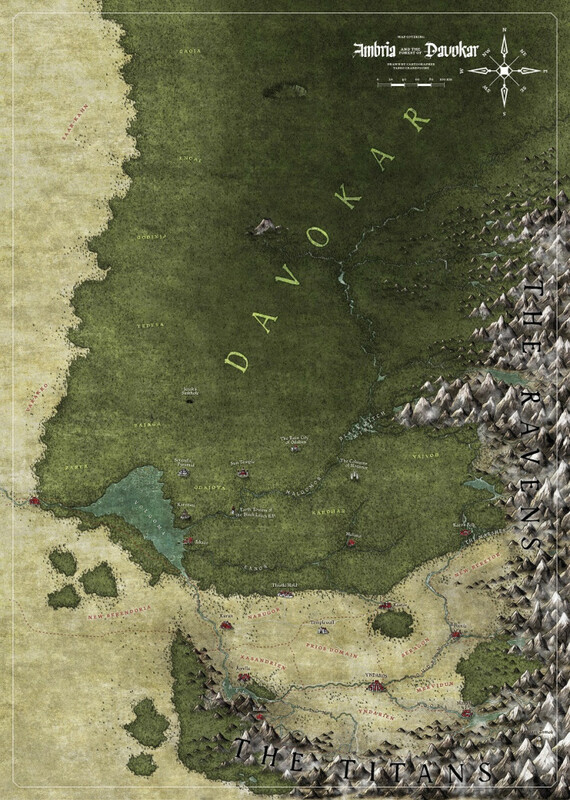 Warum sollten sich Rollenspieler, ob nun Anhänger der OSR-Bewegung oder nicht, mit Beyond the Wall beschäftigen? Stell dir vor, es ist Rollenspielabend und jemand fehlt. Spielt man weiter oder lässt man einen ganzen Spielabend sausen? Wir könnten natürlich auch ein Brettspiel spielen, aber eigentlich sind wir zum Rollenspielen hier… Jetzt ist der richtige Zeitpunkt, um was anderes zu testen. Beyond the Wall kann man ohne viel Vorbereitung starten und man hat auf alle Fälle genug parat für einen Spielabend. In der nächsten Woche geht die Hauskampagne normal weiter, aber 5 Wochen später ist schon wieder so ein Fall, wo ein Spieler ausfällt. Wir können ja mal schauen, was dieses Mal im Dorf passiert ist … Ein geheimer Kult soll sein Unwesen treiben und Dorfbewohner den Chaosdämonen opfern! Wenn Beyond the Wall zu einem kleinen Spiel wird, zu dem man immer mal wieder zurückkommt, dann wäre ich unheimlich zufrieden. Genauso könnten Spieler die seit mehreren Jahren keinen Würfel gerollt haben, mit Beyond the Wall noch mal den Weg ins Abenteuer wagen. Vielleicht möchte man aber auch Erstspielern das Hobby Rollenspiel näher bringen und man möchte nicht sofort mit 400 Seiten starten. Und auch wenn es ein D20-Rollenspiel ist, spielt es sich anders als viele seine Vertreter. Die Regeln sind unkompliziert, wie man es aus der OSR-Szene her kennt, aber die Charaktere sind etwas robuster. Das Magiesystem ist vertraut, aber ein wenig anders durch Zaubertricks und Rituale. Und das besondere ist einfach die Ausgestaltung des Charakters über Charakterbücher und die gemeinsame Dorferschaffung. In diesem Zusammenhang möchte ich noch auf die Zufallstabellen eingehen. Beyond the Wall ist reich an Zufallstabellen, doch es gibt sicherlich viele Rollenspieler da draußen die dem Konzept einer Zufallstabelle überhaupt nichts abgewinnen können. Das kann ich verstehen, gerade wenn man solche Zufallstabelle kennt: Begegnungen im Wald à 4 à 1W6+1 Wölfe greifen an. Solche Tabellen sind langweilig und man denkt schnell: Das hätte ich mir auch selbst ausdenken können. 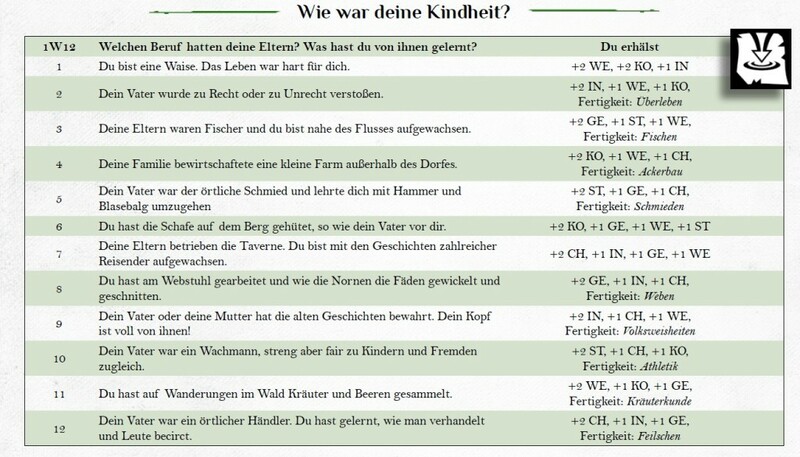 Das Tolle bei einer richtig guten Zufallstabelle ist aber, dass man nicht eine gute Idee bekommt sondern gleich 6,8, 10 oder 20! Und gleichzeitig wird man als Spielleiter überrascht. Das kann nach 10 oder mehr Jahren als Spielleiter wesentlich dazu beitragen weiter Spaß am Hobby zu haben. Darum sei gesagt: Nicht abschrecken lassen von den Zufallstabellen, sondern sich anschauen, was man daraus machen kann. Und niemand hält dich davon ab einfach da auszuwählen, was du haben willst, aber zumindest sollte man einmal den Zufall ausprobieren, wer weiß schon was da herauskommt?! 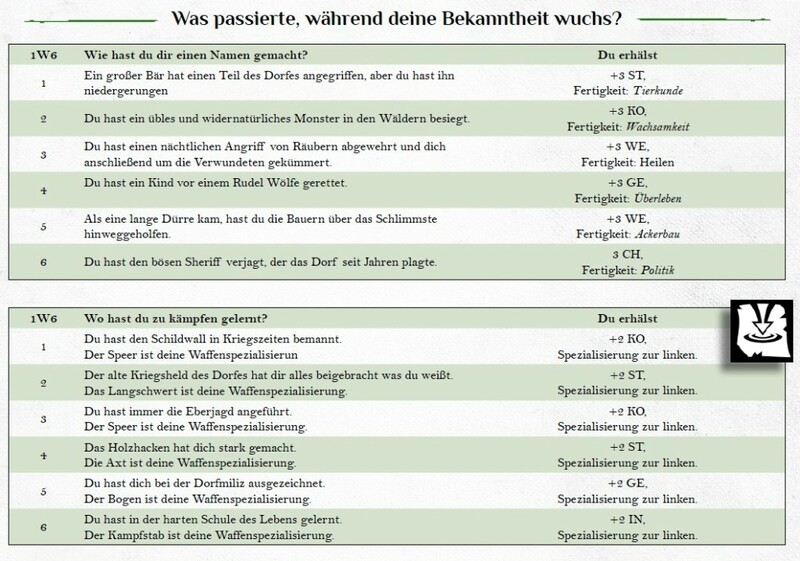 Wann und wie werdet ihr Beyond the Wall anbieten und vertreiben? Die Finanzierungsphase läuft noch. Wenn wir 200 Enthusiasten haben, dann können wir das Spiel drucken und es erscheint im April. Unterstützen kann man uns auf www.system-matters.de und jeder der 200 Leute darf sich eine 1W4-Zufallstabelle wünschen. Haben zwei Leute den gleichen Wunsch, zum Beispiel „1W4 Arten um einen Fluch zu brechen“, dann wird aus dem W4 ein W6, kommt noch jemand dazu wird es ein W8, dann ein W10, ein W12 und schließlich ein W20. Diese Zufallstabellen bekommen die Unterstützer dann als hübsches PDF zugeschickt. Was plant ihr für die Zukunft? Könnt ihr schon etwas über Folgeprojekte sagen? Für Beyond the Wall erscheint kurz nach dem Regelwerk eine Abenteuersammlung mit 4 neuen Abenteuern aus der Feder von Stefan Droste und Christoph Maser. Ob sie gedruckt oder als PDF erscheint hängt davon ab, wie das Grundspiel läuft. Genauso ist es bei der größeren Erweiterung Further Afield, die ich wieder sehr gerne als Mappe sehen würde. Denn auch hier gibt es Material mit dem man am liebsten sofort loslegen möchte. Der Clou an Further Afield ist, dass man nun gemeinsam die Umgebung des Dorfes erschafft. Man hat also eine Hexfeldkarte und die Spielrunde kann besondere Orte auf der Karte festlegen. Der Spielleiter hat hingegen Kampagnenbücher, die man dann als Rahmenhandlung verwenden kann. Neben Beyond the Wall gibt es aber auch noch andere Spiele in unserer Pipeline. Shadow of the Demon Lord haben wir ja bereits angekündigt. Hier hat David „the german Demon Lord“ Zumsteg den Kontakt mit Robert Schwalb hergestellt und lief damit bei mir offene Türen ein. Auch Shadow of the Demon Lord ist so geschrieben, dass man zügig ins Spiel einsteigen kann. Keine 3 Stunden Charaktererschaffung mit einem Computerprogramm oder kompliziertes herausarbeiten von Boni und Voraussetzungen für eine Klasse die ich dann auf Stufe 5 nehmen kann. Der Demon Lord lässt es zu, dass du deinen Charakter von Spielabend zu Spielabend weiter gestaltest ohne in eine Sackgasse zu kommen, weil du dich verskillt hast. Für den Spielleiter gibt es kurze und knackige Abenteuer, die alle einen Dark Fantasy Hintergrund haben wie man ihn aus Joe Abercrombies First Law Trilogie, Warhammer Fantasy oder Demon‘s Souls kennt. Ich würde diesen Pfad gerne weiter beschreiten und mehr Spiele herausbringen, die es erlauben, zügiger ins Spiel einzusteigen und auch Einsteiger nicht sofort abschrecken. Gleichzeitig entwickeln wir auch was Eigenes, da ich glaube, dass man sich nicht vor den Ideen aus Übersee zu verstecken braucht. Wir haben auch kluge Köpfe und können sicher was Eigenes auf die Beine stellen! Herzlichen Dank und viel Erfolg für Euer Projekt. Zu guter Letzt noch eine Gelegenheit ein paar Worte an die Fans loszuwerden. Ich habe für das Interview zu danken! Für die Fans da draußen gilt: Spielt die Sachen, die ihr kauft oder die im Regal stehen! Manche Spiele könnten genau richtig für euch sein, aber sie verstauben in den Regalen. Und nicht jedes Spiel muss eine 2,5 Jahre lange Kampagne besitzen. Es macht auch Spaß, einfach mal was Neues auszuprobieren und man hat nach 2 Monaten eine spannende kleine Geschichte erzählt, die auch ein Ende hat und nicht einfach ausläuft, weil keiner mehr Zeit fürs Rollenspiel hat. Und letztendlich kann man jedes Spiel nur wirklich einschätzen, wenn es auch mal gespielt hat. Darum: Würfel raus und los geht’s! Gelungenes Schlusswort. Ich bin mal gespannt, was System Matters noch so auf Lager haben wird. Abschließend verweise ich noch auf ihren sehr gelungenen Beyond the Wall-Tutorial-Podcast. Schöne Sache, wie ich finde. Anmerkung & Disclaimer: Alle Bilder sind Previews und noch keine fahnenlektorierte Druckvorlagen. Daniel Neugebauer und ich kennen uns vom Sehen, wir laufen uns ab und an auf Veranstaltungen über den Weg. Wir fachsimpeln dann ein wenig. Darüber hinaus besteht bislang kein engerer Kontakt zu den Nachbarn.